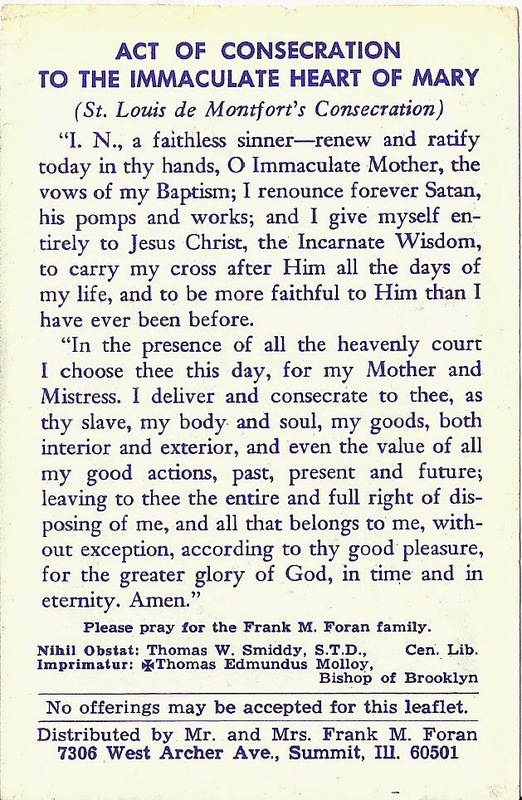 Along the theme of P^3 (Prayer, Penance, Patience), and for my own reference ... here is a collection of Morning and Evening prayers from the Ideal Daily Missal along with some additional prayers. In this crisis of the Church, I do not think it is possible to do too much prayer, penance and have patience. Blessed be the holy and undivided Trinity, now and for evermore. Amen. 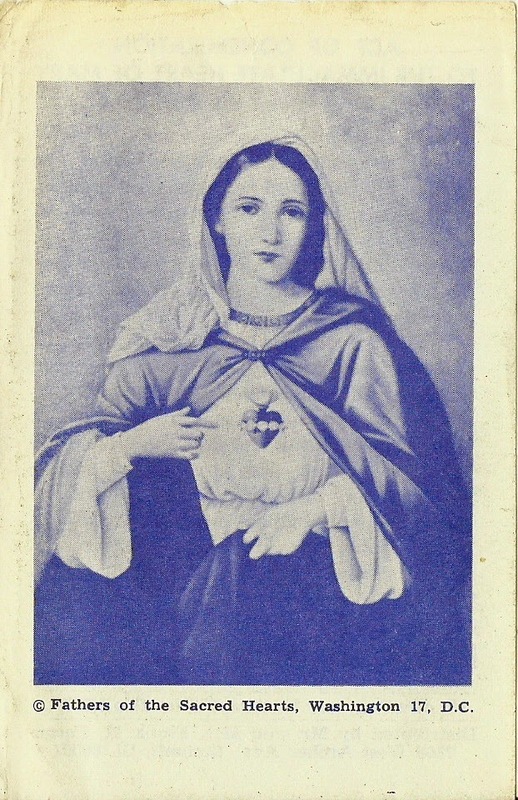 Most Sacred Heart of Jesus, through the Immaculate Heart of Mary, I offer up all my prayers, works, joys and sufferings of this day in union with the Holy Sacrifice of the Mass offered throughout the world for all of my intentions and place them at Thy feet as a submission of my will to Thine. O Mary, conceived without sin, Pray for us who have recourse to thee and for those who do not have recourse to thee, especially for the freemasons and those recommended to thy care. O Great God, the sovereign Lord of heaven and earth, I prostrate myself before thee. With all the Angels and Saints I adore thee, I acknowledge Thee to be my Creator and sovereign Lord, my first beginning and last end. I render to Thee the homage of my being and life. I submit myself to Thy holy Will, and I devote myself to Thy divine service this day and for ever. Adorable Jesus! divine pattern of that perfection to which I should aspire, I will endeavour this day to follow Thine example: to be mild, humble, chaste, zealous, patient, charitable and resigned. Incline my heart to keep Thy commandments. I am resolved to watch over myself with the greatest diligence, and to live soberly, justly and piously, for the time to come. I will take care of my words, that I may not offend with my tongue. I will turn away my eyes that they may not see vanity; and I will be particularly attentive not to relapse into my accustomed failings, but to struggle against them with Thy gracious assistance. Enlighten my mind, purify my heart and guide my steps, that I may pass all my life in Thy divine service. Amen. Hail Mary ...., (thrice) in honour of the Immaculate Conception of our Blessed Lady and for Purity. Come, Holy Ghost, fill the hearts of Thy faithful and kindle in them the fire of Thy love. O God, who hast taught the hearts of the faithful by the light of the Holy Ghost, grant that by the gift of the same Spirit we may be always truly wise and ever rejoice in His consolation. Remedy against the "Spirits of Darkness" and the forces of hate and fear. August Queen of the Heavens, heavenly sovereign of the Angels, Thou who from the beginning received from God the power and the mission to crush the head of Satan, we humbly beseech Thee to send Thy holy Legions so that under Thy command and through Thy power, they may pursue the demons and combat them everywhere, suppress their boldness and drive them back into the abyss. O good and tender Mother, Thou shalt always be our love and our hope! O Divine Mother, send Thy holy Angels to defend me and to drive far away from me the cruel enemy. Holy Angels and Archangels, defends us, guard us. Imprimatur:Cameraci (Cambrai) die 26 february 1912 A Massart vic gen.
Come, O Holy Ghost! fill the hearts of Thy faithful, and kindle in them the fire of Thy divine love. O Great God, the sovereign Lord of heaven and earth, I prostrate myself before thee. With all the Angels and Saints I adore thee, I acknowledge Thee to be my Creator and sovereign Lord, my first beginning and last end. I render to Thee the homage of my being and life. I submit myself to Thy holy Will, and I devote myself to Thy divine service now and for ever. I confess to Almighty God, to blessed Mary ever Virgin, to blessed Michael, the Archangel, to blessed John the Baptist, to the holy Apostles Peter and Paul, to all the Saints and to you, Father, that I have sinned exceedingly, in thought, word and deed, through my fault, through my fault, through my most grievous fault. Therefore I beseech the blessed Mary, ever Virgin, blessed Micahel the Archangel, blessed John the Baptist, the holy Apostles Peter and Paul, all the Saints, and you, Father, to pray to the Lord our God for me. O my God, I am heartily sorry for having offended Thee, and I detest all my sins, because I dread the loss of heaven and the pains of hell, but most of all because they offend Thee, my God, Who art all good, and deserving of all my love. I firmly resolve with the help of Thy grace to confess my sins, to do penance, and to amend my life. O God! the Creator and Redeemer of all the faithful, grant to the souls of Thy servants departed the remission of all their sins; that through pius supplications they may obtain that pardon which they have always desired: Who livest and reignest world without end. Amen. O Angel of God, to whose holy care I am committed by the divine mercy, enlighten, defend and protect me this night from all sin and danger. Amen. Visit, we beseech Thee, O Lord, this habitation, and drive from it all the snares of the enemy. Let Thy holy Angels dwell herein to preserve us in peace; and may they blessing be upon us for ever, through Christ our Lord. Amen. God the Father, bless us; Jesus Christ, defend and keep us; the virtue of the Holy Ghost enlighten and sanctify us this night and forever; and may the souls of the faithful departed rest in peace. Amen. Bless, O Lord, the repose I am going to take in order to renew my strength, that I may be better able to serve Thee. O all ye Saints and Angels! but chiefly thou, O Mother of God! intercede for me this night and during the rest of my life, but particularly at the hour of my death. Our Father, who art in heaven, hallowed be Thy Name. They kingdom come. Thy will be done on earth, as it is in heaven; Give us this day our daily bread. And forgive us our trespasses, as we forgive them that trespass against us. And lead us not into temptation, but deliver us from evil. Amen. Hail, Mary, full of grace, the Lord is with thee; blessed art thou amongst women, and blessed is the Fruit of thy womb, Jesus. Holy Mary, Mother of God, pray for us sinners, now and at the hour of our death. Amen. I believe in God, the Father Almighty, Creator of Heaven and earth. And in Jesus Christ, His only Son Our Lord, Who was conceived by the Holy Ghost, born of the Virgin Mary, suffered under Pontius Pilate, was crucified, died, and was buried: He descended into Hell; the third day He rose again from the dead, He ascended into Heaven, sitteth at the right hand of God, the Father Almighty, from thence He shall come to judge the living and the dead.I believe in the Holy Ghost, the holy Catholic Church, the communion of saints, the forgiveness of sins, the resurrection of the body, and life everlasting. Amen. O My God! I firmly believe that Thou art one God in three divine Persons, the Father, the Son, and the Holy Ghost; I believe that Thy divine Son became man, and died for our sins, and that He will come to judge the living and the dead. I believe these and all the truths which the holy Catholic Church teaches, because Thou has revealed them, Who canst neither deceive nor be deceived. O My God! relying on thine infinite goodness and promises, I hope to obtain the pardon of my sins, the help of Thy grace, and life everlasting, through the merits of Jesus, Christ, my Lord and Redeemer. O My God! I love Thee above all things, with my whole heart and soul, because Thou art all good and worthy of all love. I love my neighbor as myself for love of Thee. I forgive all who have injured me and ask pardon of all whom I have injured. O My God! I am heartily sorry for having offended Thee, and I detest all of my sins, because I dread the loss of heaven and the pains of hell, but most of all because they offend Thee, my God, who art all good, and deserving of all my love. I firmly resolve with the help of Thy grace, to confess my sins, to do penance and to amend my life. Amen. God, the Son, Redeemer of the world, * have mercy on us. Be merciful unto us, spare us, O Jesus. Be merciful unto us, graciously hear us, O Jesus. Lamb of God, who takest away the sins of the world, spare us, O Lord Jesus. Lamb of God, who takest away the sins of the world, graciously hear us, O Lord Jesus. Lamb of God, who takest away the sins of the world, have mercy on us, O Lord Jesus. O Lord Jesus Christ, Who has said, "Ask, and ye shall receive; seek, as ye shall find; knock, and it shall be opened unto you"; grant, we beseech Thee, to us who ask, the gift of Thy most divine love, that with all our heart, words, and works, we may love Thee, and never cease to praise Thee. Make us, O Lord, to have a perpetual fear and love of Thy Holy Name; for Thou never failest to govern those whom Thou dost solidly establish in Thy love. Who livest and reignest for ever. Gloire soit au Père, et au Fils, et au Saint Esprit !